Phulka Recipe | How To Make Soft Puffed Phulka Roti with video and step wise photos. 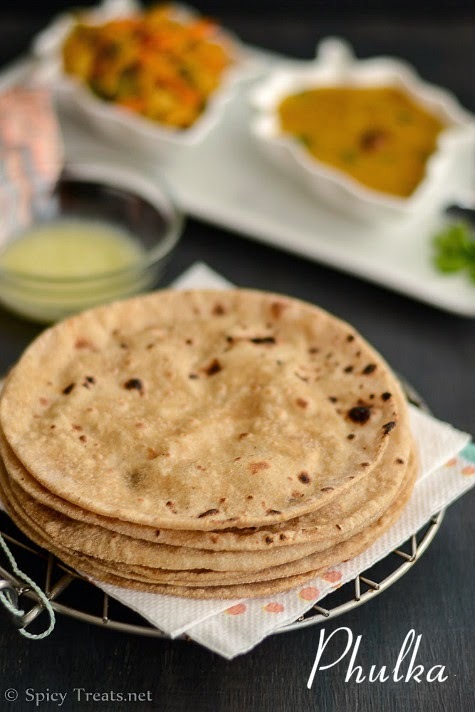 For Week 2 under Kitchen Basics/How To's theme I am sharing Phulka Roti recipe. Phulka is an Indian flat bread, very soft and healthy zero oil rotis that is cooked on direct flame method. Making perfect and soft phulka is really a tricky job for many south Indians. If you over do, the rotis turn crisp and hard and if you did not cook properly the rotis will taste raw and also result in digestion problem. So today, I will be sharing few tips and tricks to make soft and puffy phulka rotis without any oil/curd or any leavening ingredients. I learned few tips from my friends and from my own experience. The same way you can puff up the rotis on tawa itself, will make a separate post of it later. All you need is a whole wheat flour/Atta and water to make dough. And you have to make really a soft, smooth and loose dough, that is you have to use more water to knead dough and also knead the dough with less pressure by folding the dough. Also the dough resting time is important, allow the dough to rest for minimum 20-30 minutes. I tried a short video to show hot to cook phulka on tawa and direct flame. Hope it helps. 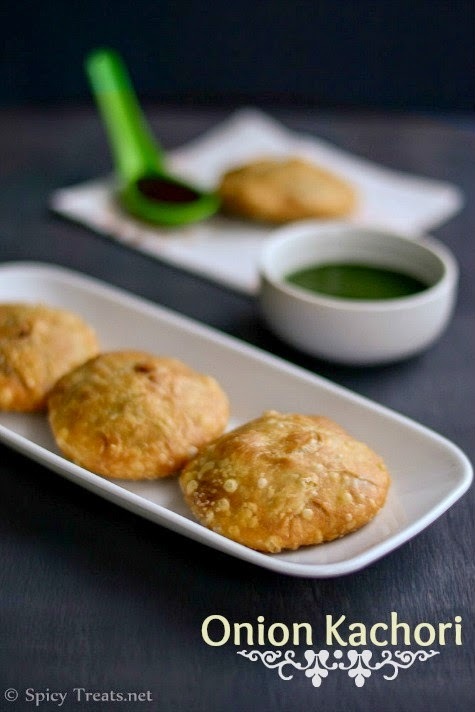 Onion Kachori Recipe with step by step pictures. Winter Evenings sure needs some garam garam savory snack & Hot Beverage. Last week it was very cold, cloudy and rainy days. V was working from home for 2 days and he requested me to make some spicy snack. I know what he means by spicy snack, nothing but any deep fried savory delights. First I thought of making Punjabi Samosa but samosa making consumes much time for shaping and it was already 2 pm. Within 2 hours I can't finish cooking and clicking. Since after 4 there will not be enough light as it was really a dark gloomy day. So decided to make some Kachoris and with one quick and yummy Onion filling, Pyaz Ki Kachori|Onion Kachori. Kachoris are in my to do list since long time, long back tried Peas Kachoris but it was like Stuffed pooris and not the crispy snack kind. I referred Vahchef's video for Onion filling and prepared dough on my own. I got good tips for making crispy kachoris/Samosa from my Neighbor Aunt. She said that for making crispy, flaky samosa and kachoris you need to add more oil to the flour, the flour should be mixed well with the oil first then use very little water to knead dough. Minimum 3-4 tbsp of oil for 1 cup of flour is needed. And then you get crispy, flaky and perfect punjabi samosa. 4 tbsp is 1/4 cup of oil for 1 cup of flour. But i don't want to add that much oil, so I tried with 1 tbsp oil and it turned out good at first attempt. The most important thing for crispy kachoris, that you need to fry them in right temperature. If its too hot then it will turn soft and become stuffed pooris, If it is less hot then kachoris will be oily and soggy. Please read all the instructions and notes before starting the recipe. 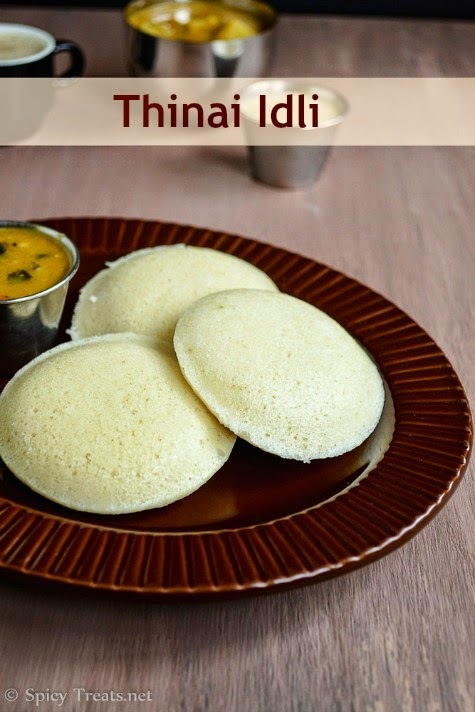 Idiyappam & Thengai Paal recipe with step by step pictures, steamed soft delicate Idiyappam dunked in sweetened coconut milk is my favorite dish. Its been long time I had Idiyappam with Thengai Paal, and last week for our weekend breakfast I prepared it and had it to my heart. 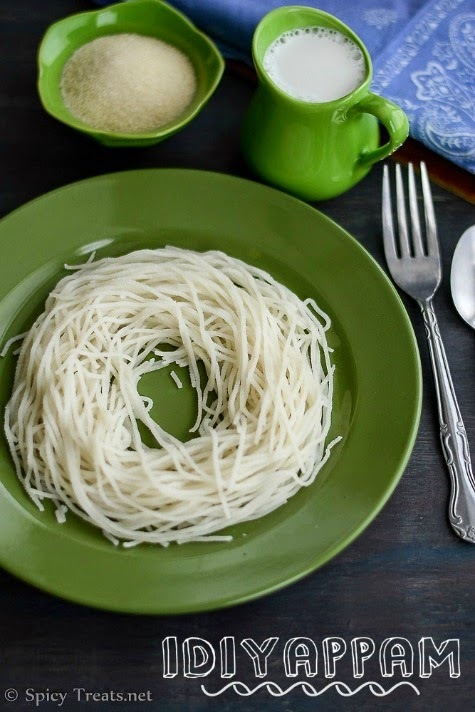 Idiyappam is a popular South Indian Breakfast recipe, a steamed rice noodles that is prepared using rice flour. You can use homemade rice flour or store bought rice flour or Idiyappam flour for making Idiyappam. Idiyappam is served with vegetable stew or sweetened Coconut milk/Thengai Paal or any spicy Non-veg Curry. I never had Idiyappam with stew or spicy gravy, Thengai paal or Sweetened Coconut Milk is my favorite combo. Here we rarely get good tender fresh coconut, so Whenever we get such fresh coconut I used to make Puttu and this time its Thengai Paal. Myself and my kids enjoyed it a lot and made Vella Sevai/Idiyappam in jaggery sauce for V. I have already shared Idiyappam recipe but with different method. 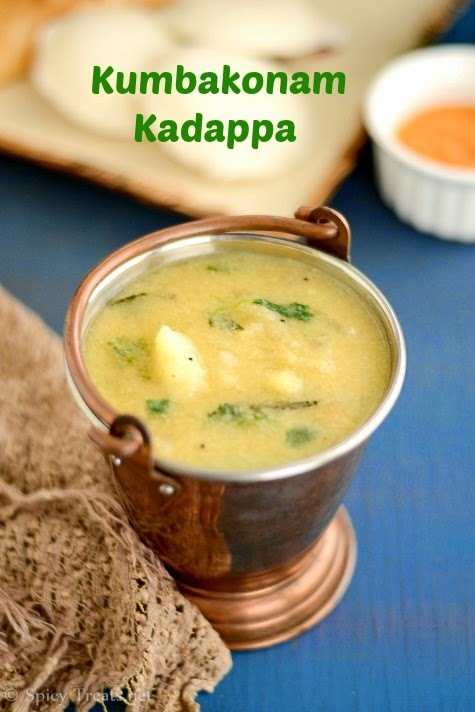 This Idiyappam recipe is easy to make and anyone can make soft Idiyappam using this recipe. This is how My Mom & Grand Mom makes Idiyappam at home. You can make it in a jiffy, only thing is the dough should be at right consistency. 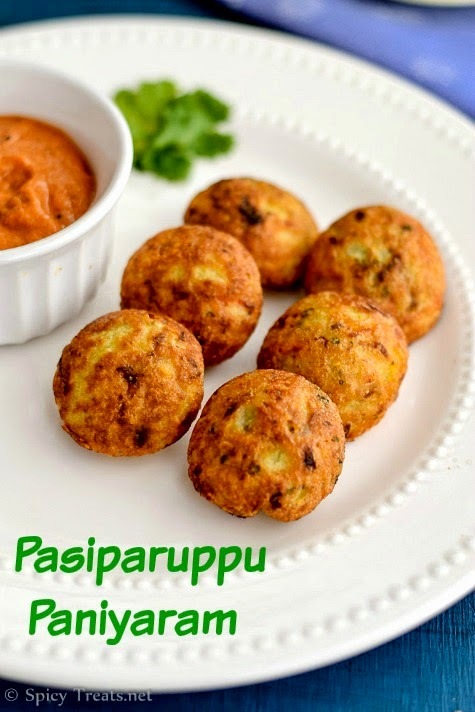 Here, I have given tips to make soft Idiyappam with any kind of rice flour. I have tried with store bought rice flour, Pathiri Podi and Idiyappam flour too. You can use whichever is available to you. Homemade Vegetable Stock Recipe | Basic Vegetable Stock or Broth Recipe | How To Make Veg Broth for Soup! 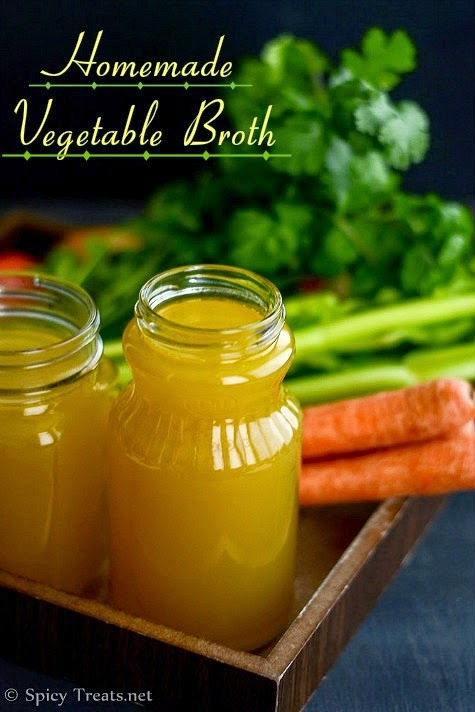 Homemade Vegetable Stock or Broth Recipe with Step wise pictures. From this weekend I am going to share Kitchen Basics/DIY/How To's post on Saturdays. Just framed a theme by myself to be active on weekends. Lets see how it goes :) So for this Saturday, I am sharing Homemade Vegetable Stock under Kitchen Basics Theme. I usually prefer Homemade stock for soups and I never bought from stores. But for me making stock is a big task, though it is a simple process somehow I am lazy to do it. When I decided to share Kitchen Basics, the first thing came to my mind was Vegetable Stock. So that I can make try my bookmarked recipes. I mostly prefer light and clear soup and milk based or cheesy creamy soups are not my kind. For most of the soup recipes you need stock or Broth. Stock or Broth is nothing but a water simmered with lots of vegetable or meat for an hour or more. Instead of adding plain water to soup adding broth gives good taste, flavor and healthy too. Basic Stock can also be flavored with some herbs and spices. 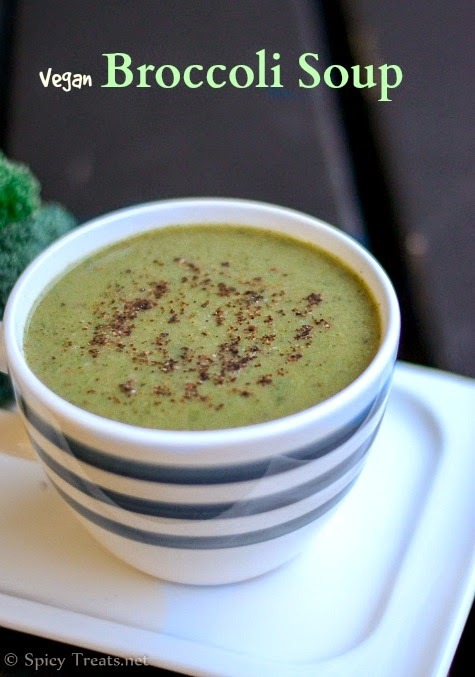 I am sharing the basic vegetable stock recipe without much herbs and spices. Here I used 5-6 vegetables but you can use any available vegetables and spices. Paneer Kolhapuri recipe with step by step pictures. Paneer Kolhapuri is an another easiest Paneer recipe that can be made in jiffy without onions and garlic. Yes.,this recipe does not require onions and garlic. 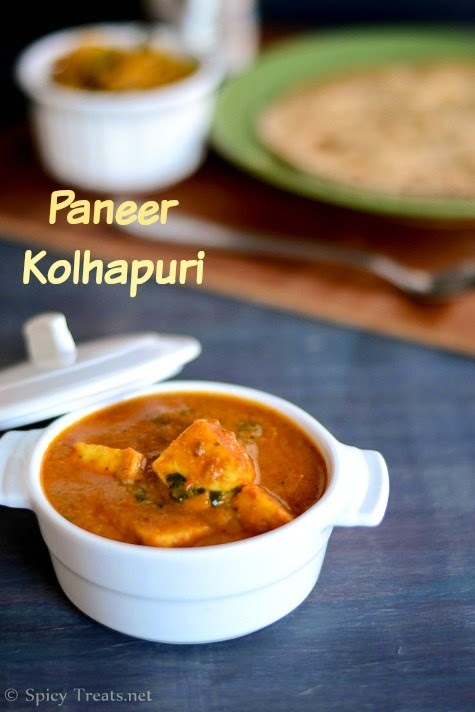 Paneer Kolhapuri is a rich, spiced and creamy tomato based curry. I have tasted Vegetable Kohlapuri in restaurants and this was the first time I am I tried and tasted Paneer Kolhapuri. I was using Tofu in place of Paneer for long time but now-a-days my kids able to differentiate the taste between Tofu curry & Paneer Curry. They like Tofu but still ask me to cook Paneer. So for my kids and to feed my blog this time tried a different recipe with Paneer. Kolhapuri Masala, an unique blend of spices that is freshly roasted and ground gives a nice flavor and taste to the curry. This curry pairs well with Jeera Pulao, Rotis, Naan & Pooris also. 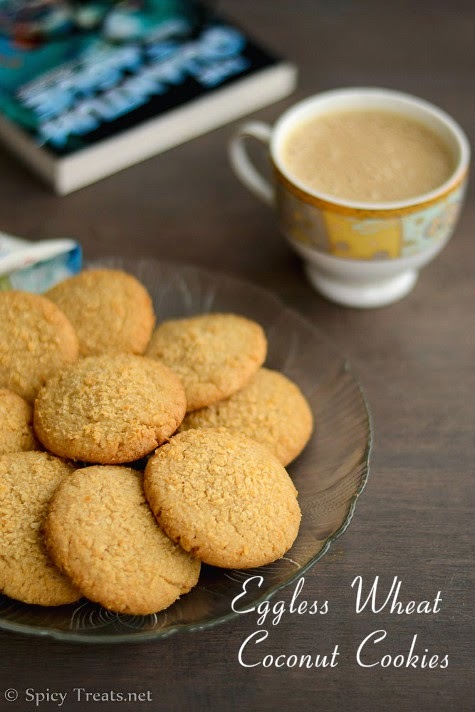 I referred Nisha Madhulika Ji's recipe video for this recipe and slightly tweaked it to our taste. 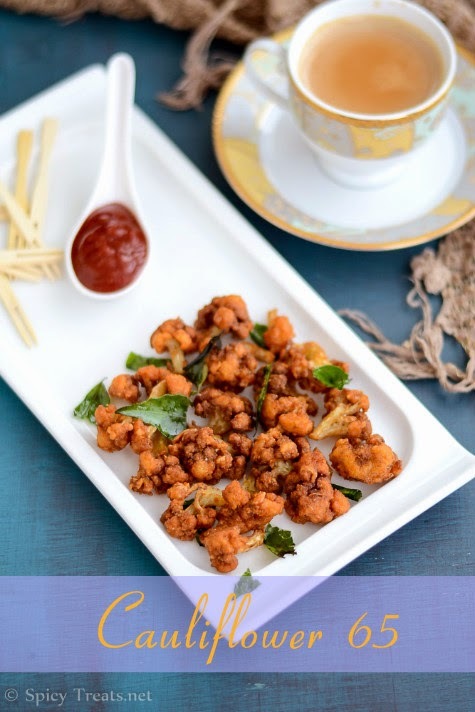 Cauliflower 65 or crispy & Spicy fried cauliflower is a tempting and addictive snack and guess it is almost everyone's favorite from kids to aged person. There are tons of recipes for this cauliflower. I too have already posted Restaurant style Gobi 65, in which the cauliflower florets are dipped in a batter and then deep fried till crisp. But this recipe is super quick, so easy and doesn't require any batter. My MIL make gobi 65 this way but with Instant 65 Masala Mix. And once I saw Chef Dhamu's recipe on tv channel and recreated myself. Only thing there's no batter and everything is mixed like we do for Pakoda and deep fried immediately. This recipe sure gives you perfect crispy and yummy fried cauliflower. This cauliflower 65 makes a perfect tea time snack with some hot beverages. Not only as a snack, this cauliflower 65 makes a great side dish with Tomato Biryani, Fried Rice, Rasam & Rice, Curd rice. I wanted to post this recipe since long time and finally few weeks back prepared mainly to click some pictures for blog. 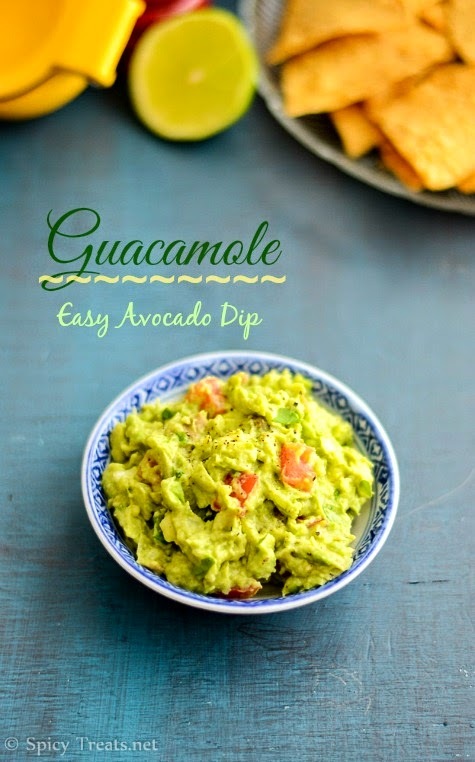 Guacamole is nothing but a creamy and delicious dip/Condiment prepared using Avocados. One of the healthiest Dip for snacks, spread of Sandwiches/Burritos. It is one of the popular Mexican recipe. After referring few sites and recipe card from Fresh Markets, I made this yummy Dip and it turned out perfect and tasted similar to restaurant style guacamole. Adding Jalapeno Pepper is optional, if you want it spicy then add it or simply skip it and add some fresh ground pepper for mild spice and flavor. Once in a while we buy Tortilla/Tostitos Chips for snacking and I usually make Fresh Tomato Salsa or sometimes we buy canned ones from store. This time I had Avocados in hand, so made this creamy and yummy dip and we thoroughly enjoyed munching those crunchy tortilla with this delicious Spicy Guacamole. Next time when you buy Avocados from Market, please try this Guacamole and enjoy with chips/sandwiches/Burritos or You can make it as a salad with adding some steamed or grilled corn & some black beans. Most Favorited and popular recipes of Spicy Treats' are Non-Vegetarian recipes and also I get more request for Chicken or Non-Vegetarian recipes. So mainly to share here, I cook Non-Veg recipes once or twice in a month. And this time it is Mutton Kuzhambu / South Indian Style Mutton Curry and it is my Mom's recipe. This is how My mom makes Mutton Kuzhambu at home, simple Pressure cooker method with Mutton Masala Powder. But My Grandma's recipe is different and she never used store bought Masala Powder, with freshly ground spices. Also My Grandma add few Potato pieces and Drumstick to the Mutton Kuzhambu. That gives different flavor and unique taste. Will share that recipe later. This Mutton kuzhambu recipe is easy to make with less preparation process. We usually add few mint leaves to Non-Veg Kuzhambu that really gives lovely flavor and taste. 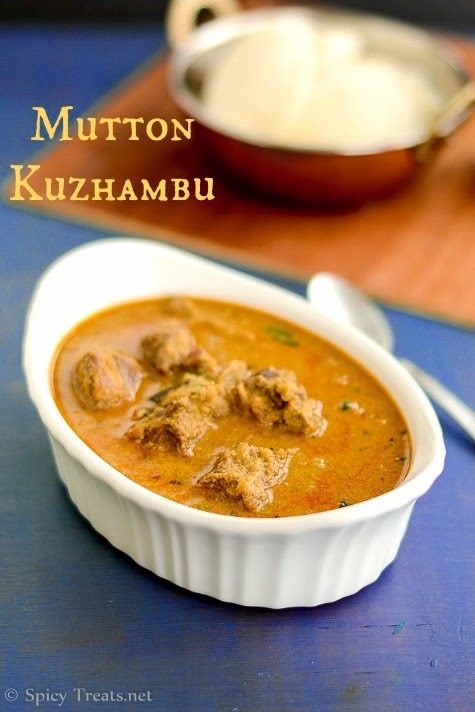 Mutton kuzhambu pairs well with Idli/Dosa/Appam/Parotta and with Plain Rice & Biryani also. We had it with Idlis for breakfast and with rice for lunch. South Indian Lunch menu doesn't complete without this main side dish - Poriyal. At home everyone like Poriyal so daily or the other day i make Poriyal or stir fry for lunch. Simple rasam and a poriyal makes our meal more comfort and filling. Vendakkai Poriyal is one healthy & simple Poriyal/Stir fry that can be done in a jiffy if you have chopped okra in hand. Vendakkai Poriyal is my kid's favorite poriyal. 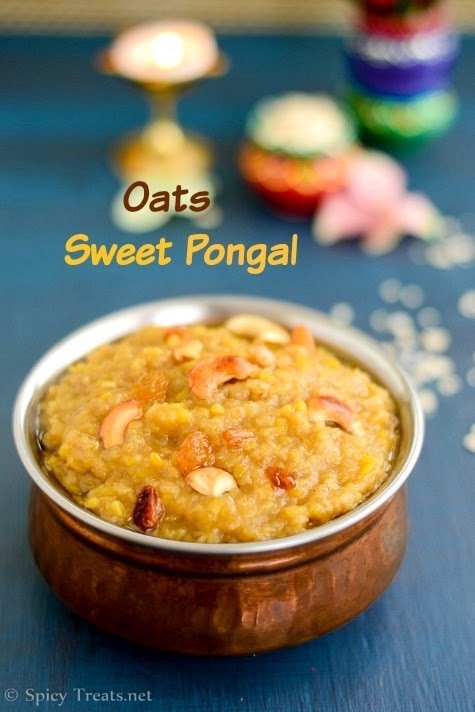 He love plain rice mixed with vendakkai poriyal and generous ghee. Even i love okra poriyal that way than as a side dish. Unlike other vegetable, okra has slimy nature and needs little care and patience to cook it perfectly. 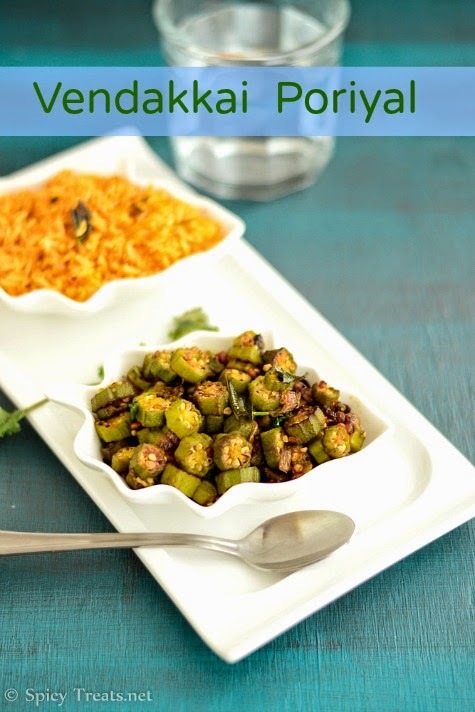 If you follow this recipe, then you can make super crispy and tasty okra fry without slimy texture and taste. Today's recipe is simple and a healthy salad using Avocado. The avocado is an incredibly healthy food and loaded with important nutrients. It is often called “alligator pear,” which is very descriptive because it tends to be shaped like a pear and have green, bumpy skin… like an alligator. The yellow-green flesh inside the fruit is eaten, but the skin and seed are discarded. When compared to many other fruits, Avocados are high in healthy fat, fiber, anti oxidants and other nutrients and vitamins. The regular intake of Avocado helps to lower the cholesterol and triglycerides. Also the fat in Avocados help you to absorb plant nutrients. The avocado has become an incredibly popular food among health conscious individuals. It is often referred to as a super food/gold food. Not only healthy avocados are equally delicious and there are tons of recipes and method to prepare avocado. If interested, watch this video on how to pick, prepare and cook avocado. I am sharing one of the easiest and delicious salad recipe. I love avocado with lime, little salt and pepper. 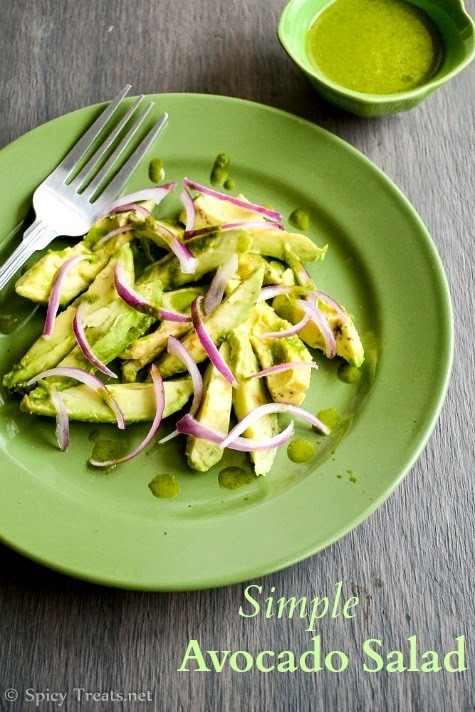 The tanginess from lime pairs well with the creamy avocados. Happy New Year Wishes to all my friends, readers and visitors. May this year brings you all good health, wealth, happiness and peace. 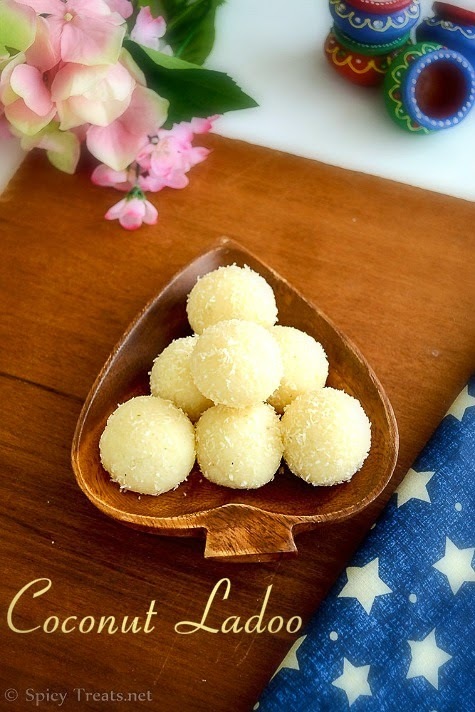 On this special day, I am sharing an easy and quick sweet recipe, Coconut Ladoo / Coconut Condensed milk Ladoos. Actually I prepared this sweet during Diwali week but I could not share it that time. And now it is helping that I am starting the New Year's post with a sweet recipe. This is a very simple sweet that I learned from my neighbor Aunt. On Mr.V's Birtday I went to Anutie's house to share sweets I Prepared on that day, after knowing about V's Birthday Auntie instantly prepared this Coconut Ladoo for Him. I was so much surprised and excited, and we loved the ladoos that is made with so much love. When I asked for the recipe she said, there's no special recipe just warm and mix 2 ingredients and flavor with cardamom, that's it Delicious Coconut Ladoos ready. So cool isn't it? 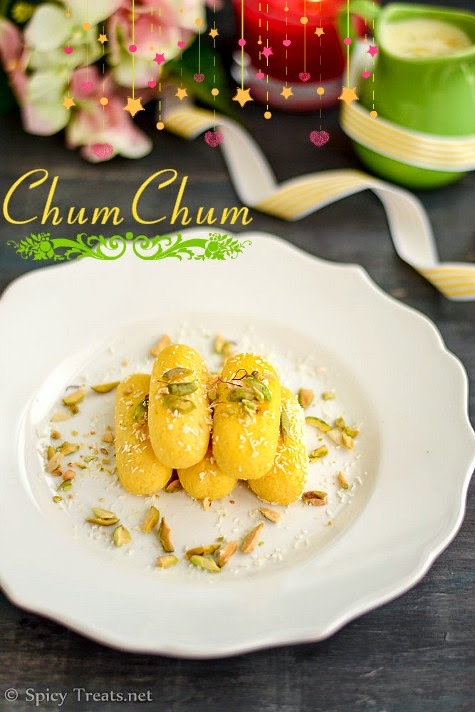 Then go ahead and make this sweet instantly on this special day and enjoy with your friends and family.